The PC application provides you with the capability of programming AVR MCU’s and lets you adjust WiLoader’s different parameters. It also includes a serial terminal among other features. Software packages contain WiLoaderFX application and Arduino software patch. WiLoaderFX can be used separately as a programmer software. Arduino Software patch is for incorporating WiLoader inside the Arduino IDE. note: Arduino IDE v1.8.5 patch files are included. The light version requires Java version 1.8.0_60 or later already installed. The Java Embedded version does not require any additional pre-installed software. 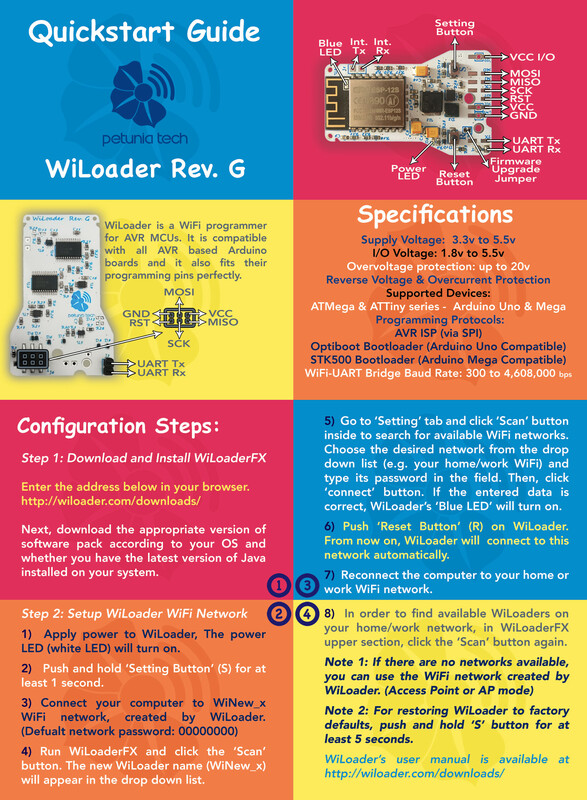 The Smartphone app lets you change WiLoader settings and communicate with the target MCU using WiFi-UART bridge. As an alternative, you can install SocketConnectionClient, TCP Console or Telnet Client Terminal app from iTunes. This video tutorial shows you how to apply WiLoaderFX patch to Arduino IDE and upload your sketch to Arduino board via WiLoader. This video tutorial shows you how to use WiLoaderFX features. This video tutorial shows you how to use WiLoader command line interface and how fast is the Flash upload speed over WiFi. 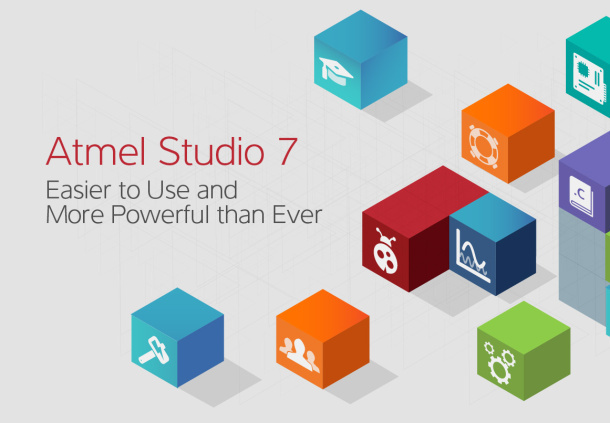 WiLoader can be integrated into Atmel Studio and CodeVisionAVR compilers.